These colorful Leopard cello bags made from 1.2 mil polypropylene for birthday & special celebrations. They are heat sealable and offer excellent moisture & aroma barriers. Just fill, twist, and tie with our ribbon or twist ties. 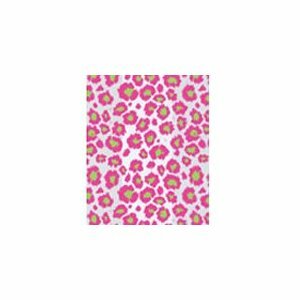 Pink & Lime animal print puts the finishing touches on your gift baskets, candy, nuts or any small items. Meet FDA requirements for direct food contact – Made in USA. Set of 20 – 4″ x 2″ x 9″ – Have fun with these adorable trendy boutique bags! Quantity: 20 Bags – Gusset style – TOP QUALITY – the perfect choice to show off all your hard work or for giving that perfect gift! Great for packaging your items for retail sale also! Excellent for stationery, greeting cards, cups, mugs, candles, gifts and larger quantities of food items. Bags are 4″ x 2″ x 9″. Great for candies, gifts, crafts, gourmet food and more. All our cellophane bags are FDA approved for food use. All cellophane bags and cellophane are not alike and we guarantee ours to be high quality cellophane. These cellophane bags are heat sealable but do not shrink, simply place your items in the bag and tie or seal. Cellophane bags protect against leakage, aroma loss and moisture.